It strikes me that it's easiest to defend a planet's orbital space from the planet's surface. If you've got any sort of industrial capacity on the rock itself (and presumably you do, or else why are you defending it? ), then you're probably better off launching attacks from the ground than you are relying on ships in orbit. We have anti-satellite weapons now; as technology improves they'll only get better and cheaper. And anything done on the ground is probably going to be cheaper and easier than the same thing done in orbit. "In any setting where planets are important"
So... in any setting, because how can there be a setting where planets are not? Jovian: I agree that some sort of ground laser station would be a good idea, but I am not sure about a kinetic defense network based on the planet. It strikes me that an anti-orbit missile under power would be very easy to detect, what with the thermal bloom of its engines, while "dead" kinetic mines would not. In fact those mines could be nothing more than than a warhead (read a tungsten or DU penetrator) with a small engine and remass load (taking Rick's 3 km/s). It runs dead in the water (or rather orbit) making it harder to spot than a missile coming up from the surface. Said mine needn't even have its own complex guidance package other than, say, a JDAM style laser guidance lens in the nose, leaving the targeting to the ground base or another "mine" with no engine and only a small battery, a laser designator, and a somewhat smart computer for target discrimination. So while I see a ground based defense network, I think you need something already in orbit to intervene quickly and silently, so to speak. Rick: Not to nitpick, but I think you did leave out some of the fun of orbital combat: the infrastructure. Any planet we have a colony on will be orbited by constellations of satellites. Communication satellites a must, GPS a near requirement, weather satellites for any world with an atmosphere, probably a space station, and all sorts of scientific ones. If you want to be careful about not destroying it (the defender paid a lot of money for it and the attacker will most likely want to capture as much of it as he can) you're going to have some pretty creative orbital tango. Heck, one side might use those stations and satellites as shields, getting into similar orbits so that any mine on a retrograde orbit has a good chance of hitting it. And if the attackers (or heck, the defender) is not particularly discriminate, we're going to have a lot of shredded metal flying around at orbital velocities. Is it wrong that I feel giddy when I see Space Warfare show up on the Manifesto? In deep space, threats can come from any direction and you have to think in three dimensions. In orbital space, things flatten out. Everything at a certain altitude is going to be moving in lockstep with everything else. Stuff below that will be progressing faster. Stuff above progressing slower. If you drop into an orbit and don't get in lock step, you have two options: 1) Continual burn to keep altitude and/or 2) risk debris impacts at multiple km/s velocities. This leads to the submarine warfare analogy. Lower orbits are moving faster and heat signatures can be occluded by the planet. The higher orbit ship has no where to hide. Planetary based defense systems also have an enormous heat sink that allows them to pump massive amounts of laser energy into the sky. Lacking a good means of dumping waste heat would cause a thermal shutdown of any warship in orbit. Another thing to note with lasers. In a thick atmosphere, you don't get to use your space lasers (vacuum frequencies, UV, Xray) because they get absorbed. That kinda limits you to Visible light and some thermal. Since ground based lasers need to use Visible light, they have a very specific maximum effective range. Of course, ground systems aren't limited to size of the mirror (to a point) so they might have significantly longer range that a comparable space based frequency. Basically, the atmosphere works as a shield both ways, restricting the type of weaponry. i.e. A space combat vessel won't be suitable for ground assault and vice versa. @Jean Remy: So... in any setting, because how can there be a setting where planets are not? C.J. Cherryh's DOWNBELOW STATION for instance. The stations are the important parts, nobody lives in the planets. Except for the that single one with indigenous natives. Jean: I didn't get into what kind of weaponry you'd be basing on the planet specifically because it depends almost entirely on the kind of planet. Something like the moon -- a good-sized but airless rock -- you'd probably want a laser system (with heatsinks sunk into the ground). If it's a rock with an atmosphere (like Earth), then kinetic weapons are probably your best bet -- it's a lot easier to huck things into retrograde orbit from a relative standstill (kinetic space-defense weapon stations would probably be located at the poles of such a planet) than it is to overcome the orbital velocity you're already traveling at with enough spare energy to make orbit in the other direction. Something a bit more exotic, like a gas giant, you're probably looking at missiles because your giant floating platform (or whatever you're using to avoid the unpleasantness of the lower atmosphere of a gas giant) is more sensitive to additional mass and energy penalties than solid ground is, so you want to make sure your shots count. It's worth mentioning that this assumes not only a certain level of technology, but also a certain type. If surface-to-space transfers are made entirely by orbital elevator because it's the only cost-effective means of getting things into orbit, then you can probably kiss your mass driver-launched kinetic mines or rocket-driven missile swarms goodbye. In such a case, honestly, the defender is probably better off meeting the enemy out in open space; it'd be almost trivially easy to destroy an orbital elevator from planetary orbit, even when you're engaged with defenders also in planetary orbit. Nyrath: that's not strictly true. People live on a few planets (Earth, Cyteen, etc), but they're tactically irrelevant - Cyteen because bottling up Union on a planetary surface would be equivalent to victory, and Earth because occupation or annexation is impossible, since Earth's population dwarfs all the spacebound combatants by multiple orders of magnitude. It's not unlike Mahan's vision of naval warfare, and I suspect that was the model for it. I have definitely read Downbelow Station. I did recall that the planets were tactically irrelevant. However the stations orbited planets. What interest us in this topic it is not the planet as landmass, it's the planet as gravity "well". It doesn't matter that the planet is settled, only that your target is in orbit, and therefore we're back to orbital warfare. Note that even if it is sparsely/un populated, you still can install automated ground based weaponry. In fact, given the lovely hardening provided by meters of rock, plus the near-infinite heat capacity of a planetary body, one could imagine putting a colony in orbit around something like the Moon or Ceres, and building the defenses down on the surface. I was actually pretty fascinated by this subject when I read up on Atomic Rocket about the sheer explodicity (greater than TNT) a tin can can pack at system transfer speeds. Needless to say; I had a field day with it in my own work. Most of the starships in Sunrise designed to fight in orbital warfare use trim-jet guided slugs of metal to create obstacle courses for oncoming ships. Throw networked, intelligent combat systems in and you have a Combat Cloud. Add in FTL that can drop you right in the orbit of a planet and you have a balance of terror that would make McCarthy cry. Honestly, I'm starting to find HSF concepts as a boon rather than the parade-raining bust some writers, game designers and the like seem to paint them as. Surface to space combat was the subject of Part I of this series. At the moderate techlevels we're mainly considering here, a surface defense has a lot of advantages in controlling 'inner' orbital space. Relatively cheap suborbital ASATs give little warning time to a target in low orbit. Hitting a target at geosynch requires a much bigger booster, and the target has hours of warning time. For once a maritime analogy works pretty well. Shore based defenses are good for controlling inshore waters and resisting landing, but they are not effective against blockade. Defend a planet from its surface; defend its orbital space from orbital space. And note that the booster you need for an Oberth boot is comparable to what you need for a suborbital ASAT. Orbital defense kinetics have to be put in orbit in the first place, but they need no costly 'warship' to deploy them. I tried Downbelow Station and fizzled out, even though Cherryh ought to be right down my line. Maybe I should give her another try. There's a fair amount of discussion in the space-verse of space futures centered on the asteroids and small outer mooons. So you could have settings where large planets are rarely important, and thus orbital space is rarely important. I don't think that is very likely, and in any case most SF setting make large planets and moons (local or extrasolar) main centers of human activity, in which case orbital space will be important. Aaron makes a point that is central to this blog. I'm reminded of Robert Frost's remark that writing free verse was like playing tennis without a net. The constraints of Realistic [TM] space travel are where a lot of the story possibilities lie. With the one exception of cost, because you have to bring it down enormously to permit operatic fun in space. In my opinion a lot of SF writers (And fans) stop at the first stage of tactical thought. They dream up weapons with Really Big Numbers behind them, then fall in love with the RBNs and ride out madly in defence of the RBN's honour. I enjoy the tech debates, but if simply building bigger weapons were the way to win a war then the Paris Gun would have ended the First World War (Or the Grand Cannon would have ended the Robotech Wars. Choose your own geek reference). I just read my post, and it's not obvious but - One of the reasons I read this blog and the comments is because the discussion does go beyond that first stage. Fighting in orbit will pretty much force commanders to consider the "gravity gauge" to steer clear of threats and develop a commanding view of the theater of operations so they can make and execute plans. There are two work arounds as well. Torch ships with huge reserves of delta V can be made with today's technology if we are willing to dust off 1950's vintage Orion drive combined with modern materials. "Next Big Future" had a description of an Orion interceptor that could be launched at incoming asteroids, accelerating at 100 g and reaching 15 million kilometers in @ 5 hours: http://nextbigfuture.com/2009/02/unmanned-sprint-start-for-nuclear-orion.html. A second work around would be a reasonably powerful laser weapon either operating in the upper atmosphere (mounted on a cargo plane or large military transport) or boosted high enough to gain the gravity gauge over weapons and objects in low orbit. The laser is shielded from attack by the air, or has lots of time and a wide field of view in high orbit. A laser on the planet with an orbiting fleet of relay mirrors might also work. I find Cherryh kind of a hard read in general, but well worth the attempt. It took me five tries to get past the first few chapters of the Faded Sun trilogy. She is so far on the cynical end of the scale that it becomes hard to actually find characters to sympathize with. I think she's a very important author because of that. JMS (Babylon 5 creator) once said that any science fiction (show) is basically optimistic because it assumes a future at all. Cherryh manages somehow to make that future a fate worse than death. To put in another way, if she'd ever shaken Gene Roddenberry's hand they probably would've annihilated each other in a flash of pure energy. Sadly, that only makes her vision of the future far more believable. So who has the advantage? The ship in lower orbit or higher? Clearly there is a point where the atmosphere and ground fire negates any advantage of 'lower ground'. There is also a point where high orbit is just too far away. I don't think the concepts of high and low ground really matter all that much in orbital battles, though a lot of SF seems to make it so. On Earth people up the hill have the advantage because it takes more effort to go up than down. In fact it takes practically no energy input to, say, roll a boulder of a fiery bush at the attackers, who are exhausting themselves trying to run up the hill. However, changing orbit will require energy input whether you are going "up" or "down". Orbits being more or less stable (that's why they're orbits) you need thrust to go from one to another. The view isn't better, either. One again, it's easier for artillery to shoot over the ridge and down hill than it is for the artillery at the bottom of the hill to shoot over the ridge without overshooting the emplacement. Which they can't see unless they have spotters over the ridge. This, again, is not an issue in space. The difference in speeds will not be significant. Getting hit by a kinetic kill weapon is always a matter of overkill. Does it matter if the ship in low orbit is overkilled more? Perhaps the further you are from the planetary surface, and therefore its nearly limitless weaponry (certainly a lot less limited than a 10,000 tonnes spherical cow Laserstar) the less you risk getting hit, though once the laser or missile clears the atmosphere there really is no difference between a LEO based weapon and a surface based weapon. Not that it matters, as most of the valuable infrastructure will BE in LEO since it is cheaper to reach. Orbital battles will be a complex and dynamic thing, especially in a setting where kinetics are remotely useful. If lasers own the day, then perhaps less so. In either case I don't foresee any significant (stressing significant) advantage to holding the "low" or "high" ground. No battles for Spaceburger Hill. P.S. : I could be totally mistaken. I don't know enough about orbital mechanics to think about an inherent weakness in either position. But yes, it would be more nuanced than I originally implied. And missiles do eventually go *click*. I'm not really sure where missiles vs. lasers stands, so I think I'm going to have to do some research. I'm still convinced that drones will be a major focus in the future of space warfare. Either you build a tank that flies at human speeds but could punch out Cthulu, or you build a next-to-nothing, no pilot craft with computer reaction times. Or maybe the former carries and launches the latter. I wonder how much this dialectic has been covered here? More research. Gravity gauge and orbital position does have meaning (although not in the "high/low ground" analogy most people think). Objects in low orbit are moving at high relative velocity and will move in and out of an observer's view very quickly (both from the ground and from in orbit), while objects in high orbit can keep larger areas of the planet and orbital space under observation and cover. The downside is while in high orbit you can see and have more time to react, your weapons have longer ranges to cover, leading to long time delays for kinetics or beam dispersion issues for lasers. ORION torch missiles launched from space would require a fairly large carrier, or to be based on the Moon. To me this suggests that a space force would have to keep assets spread across the entire environment; reserve forces concealed on the ground, "fast movers" in low orbit and a "high guard" providing top cover, a fairly expensive proposition indeed. This model also resembles an air force more than a navy as well, which might change assumptions about how space forces will evolve. "I'm still convinced that drones will be a major focus in the future of space warfare. Either you build a tank that flies at human speeds but could punch out Cthulu, or you build a next-to-nothing, no pilot craft with computer reaction times. Or maybe the former carries and launches the latter. I wonder how much this dialectic has been covered here? More research." I'm pretty sure that space forces would be composed of many different types of combat spacecraft, to deal with various kinds of threats and missions. "To me this suggests that a space force would have to keep assets spread across the entire environment; reserve forces concealed on the ground, "fast movers" in low orbit and a "high guard" providing top cover, a fairly expensive proposition indeed. This model also resembles an air force more than a navy as well, which might change assumptions about how space forces will evolve." Yeah, that does sound right...orbital space would need something like an AWACS to track and control various unmanned combat drones, mines, and ASATS, ect...even aerospace fighters would have a role in this sort of combat...yeah, it sounds more like the structure of an Air Force than a Navy...missions lasting hours or day instead of weeks or months (or even years), and being based on the ground instead of taking everything with you to the battle. Maybe this means a seperate service that defends orbital space! 1) The two combatants have space behind them. In this case both are going to be painfully obvious heat signatures. 2) The two combatants are on the opposite sides of the planet. 3) One combatant has a planet behind them while the other has space behind him. This is the high/low ground scenario. In case 3, the lower orbit combatant will be moving faster and is occluded by the planet itself. Thermal dumps to the planet side won't result in a massive heat spike. I think that the low orbit ship would be at an advantage against lasers due to the difficulty finding the target amongst the huge heat mass behind it. It would be at a disadvantage from kinetics, which could use its own speed against it. Offensively, lasers would be better since the opponent would stand out against the cold blackness of space. Kinetics would not be popular because of the reaction mass needed to get out of the well. The higher orbit vessel would be at an advantage with and against kinetics, especially if the lower orbit vessels are defending the planet. It would be at a disadvantage with lasers. The higher ship could simply launch kinetics at the planet and force the defenders to reveal themselves or suffer the planetary bombardment. Of course, there is still the elliptical orbital vessels that drop low then hurtle back into space. Then you get the kamikaze retrograde orbiters. If they drop 'mines' behind them as they orbit, they would deny that orbital path to anyone else until the mess gets cleaned up. The demands of orbital space seem like a good area for a seperate armed service. The 'terrain' has its own unique demands both in terms of equipment and how you think about it. The people involved will have to be trained differently than the people in open-space or surface warfare, and the equipment will have to include space-capable craft that can also skim atmosphere. Perhaps future air forces will be rolled back into armies and navies, the surface warfare specialists, with high-altitude aerospace craft being part of the orbital force. More likely there will be some overlap. There will probably be overlap in the duties of an orbital force and a deep-space force as well. But the demands of fighting and moving btween different orbital bands, sometimes dropping low enough that atmospheric interference is a problem, the craft will be different than Rick's spherical war cows. And when you've got an environment full of valuable satellites, civilian launch craft, and orbital debris being chased by garbage collectors, having a group of tacticians and planners trained for that environment seems like a really good idea. So potentially we've got planetary forces (with surface-to-space launch capability), orbital forces (with aerospace capability and craft that can reach into deep space), and deep space forces (with some craft that can handle orbital combat demands). I'm seeing inter-services rivalries and long parliamentary debates over the definition of 'orbital space'. In Heinlein's Between Planets the Venus rebels organized their forces as High Guard (deep space), Middle Guard (aerospace), and Ground Forces (grunts, obviously). He didn't specify a doctrine, though. The comments make a pretty good case for the 'air force' model of forces defending orbital space. What capabilities a deep space attacker needs depends on their objectives. To land on a planet, or take over orbital infrastructure, you must assert control over all of its orbital space. To bomb the planet you don't need to control its orbital space, but must disrupt the defender's control. To blockade the planet you need to control its outer orbital space, but not low orbits. Everyone is right that the familiar, simplistic 'high ground / low ground' contrast does not hold. High and low orbits have different advantages in different circumstances. Meta: I didn't even get far enough to notice Cherryh's darkness, but I'd probably have much the same reaction I do to George R.R. Martin. In dark, cynical settings I end up not caring much about anyone, and check out of the story. Would a stratospheric airship be Orbital Guard or part of the Planetary Guard? In terms of logistics, would such high-altitude craft be better supported from an orbital platform or a ground base (Or naval vessel, I suppose)? I think the definition is in the name. The orbital guard maintains its position by means of a balance between gravity and centripetal force. An interesting topic, especially in how orbital mechanics of what I would call Aerospace (to the rest of you Low Orbit and perhaps part of the stratosphere) would have some characteristics similar to terrestrial-bound warfare and yet require just as radical a thinking in terms of logistics, spacecraft design, tactics and strategies. Enough to qualify itself as at least one separate military branch. My only problem is the use of "Deep Space" being used to describe interplanetary orbits. Like the rest of your average, mild mannered Sci-Fi watcher, Deep Space conjures images of the space in between stars rather then planets. I don't mean to nit-pick, but it just doesn't sound right to me. The same as the word "ship" would not sound right to those that are just a bit more Hard SF then I when one thinks about a Space Force or Orbital Guard or whatever. As for the AWACS equivalent. Well, other then the Command Spacecraft of a Constellation, the closest I could think of is some kind of orbital station with a rocket motor powerful enough an with a high enough Delta V to not be so "stationary" a target. Mines, as what I've been lead to believe from following Hard SF discussions on this blog and Atomic Rockets alone, are best used defensively when a spacecraft is being chased by a hostile one. Ian, I think you answered your own classification question upthread - in borderline cases, assignment will depend more on political and institutional turf than anything else. These can even drive weapon choices. As I understand it, a major reason that gunship helos exist is that that the USAF owns fixed wing land aviation, so the only way for the Army to have its own air assets is to put rotors on 'em. I've started using 'deep space' precisely because it does not distinguish between interplanetary and interstellar. In much SF, after all, a starship is essentially an interplanetary ship with a magic FTL gizmo, that travels to jump points rather than other in-system planets. Hey Rick, are you going to do a Space Warfare: Magitech? That could deal with the internal ramifications of various Scifi tropes. Just thinking about orbital and deep space forces. In my opinion it doesn´t make much sense to split them. Most or an important part of all military operations involving attacks against or defense of planets, will need to cross "orbital space" at some moment. After all, your ship has to cross interplantetary space during travel and then will have to engage the enemy on his planets orbit. Would it not make more sense to have two diferent crews trained for diferent situations on the same ship? What I could imagine would be a space force split between a local "defense" force which would defend your orbit and intercept aproaching enemies, and an "expediotinary" one, which has the mission to project your power to other worlds. 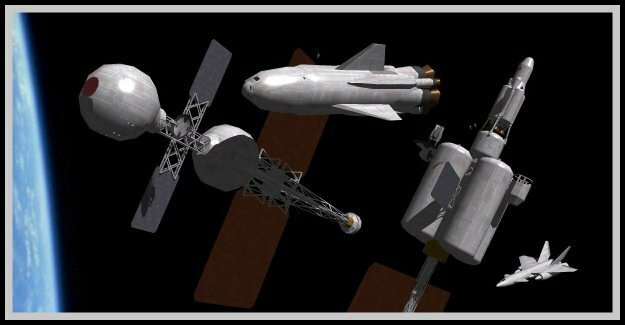 Perhaps there could be a combined air and orbital service, and a dedicated deep space service, though with a degree of overlap, as Ian_M has said. Though that raises the question of what to call them: Aerospace Force and Deep Space Force? Aero-Orbital Force and Space Force? Another question would be whether the air/orbital force has its own interplanetary 'carriers' to move from Earth orbit to Mars orbit, say, or if it relies upon the Space Force for this. Crossing orbital space and entering it are two very different things. Orbital space is defined by your physical position, but also by your vector. Not much else to add yet, everyone else is doing a good job of covering the bases. Sabersonic - "My only problem is the use of "Deep Space" being used to describe interplanetary orbits. Like the rest of your average, mild mannered Sci-Fi watcher, Deep Space conjures images of the space in between stars rather then planets. I don't mean to nit-pick, but it just doesn't sound right to me." It doesn't sound right to me either. I used deep-space here to mean 'interplanetary space' for two reasons: One is that we're discussing the mid-range future, plausible engineering developments of current science. So interstellar space is out. The other reason is that any technological mix (Other than an FTL miracle) that could be used to colonize other star systems could also be more plausibly used to increase living space in the Solar System. So interstellar space is out again. Qwert, you missed the possibility of an interplanetary Switzerland. Strong defensive forces with little ability to project force. That's an outlier, but there are other political reasons for splitting your forces. There are also strategic reasons for splitting your Orbital and Deep Space forces: The defence (Orbital Space) team is going to need a different mind-set from the Offence (Deep Space) team, and they'll probably need different supply chains. And if your Orbital and Deep Space forces are entirely different forces, it's a lot easier to resist the urge to loot your Orbital capabilities to boost your Deep Space forces. "Those decadent Venerians will fall before our overwhelming invasive force! Soon their ecosphere will be ours to plunder!" "Generalissimo, the Venus Self-Defence Forces have devastated our fleet! Their counter-attack is on its way!" "Quick, send out our Orbital Guard!" "You... Did send them out. To Venus. Sir." Citizen Joe asks: are you going to do a Space Warfare: Magitech? Great idea - thanks for the tip! On the question of orbital versus deep space forces, it has some features in common with land based air v naval aviation, and army v Marines. You might be able to do with just a deep space logistics component, but as Ian hints, there are also issues of service culture and strategic objectives. Between the world wars, the RN was not a happy camper about the RAF 'owning' all British military aviation, and with good reason. An orbital force, as such, seems inherently defensive in orientation, which could itself be a case for having a full separate deep space force, even if much of its equipment and tactical (as distinct from strategic) doctrine is identical to that of the orbital force. Citizen Joe: Hey Rick, are you going to do a Space Warfare: Magitech? That could deal with the internal ramifications of various Scifi tropes. That is a big squirming mass of worms. There is a website that sort of covers this, called StarDestroyer.net. They are mainly about Star Trek vs. Star Wars, but they do cover other media SF. Zachary, the link you supplied is to the reprint. The original article and comments are here. The scientific experts who supply me with the technical details for my Atomic Rocket website are of the opinion that Mr. Shoer has fallen for a couple of common fallacies in space combat. They would love to be on Mr. Shoer's Ph.D dissertation committee. Welcome to another new commenter! Marginal Revolution! My political web surfing takes me there from time to time, but not a place I'd have expected to see this subject discussed. I agree that Shoer has fallen for a couple of common fallacies, not so much because of bad physics as from not having given the problem enough thought. And there was one odd place where he mentioned antimatter drive, though the rest seemed to presume near contemporary tech. A decade of hanging around SFConsim-l has put a lot of assumptions through a fairly devastating live fire test. Who owns what in an orbital space environment is interesting. The United States (ever the pioneer) has three armed services capable of claiming LEO capabilities, the US Army operates ASATS in Alaska, the USAF has demonstrated air launched ASAT capability since the 1980's with two stage rockets launched from F-15 Eagles (and I understand the F-22 has also been checked out in this capability), while the US Navy has also shot down a satellite with one of its Aegis cruiser's. I suggested earlier that orbital space forces might resemble (or be descended from) Air Forces rather than Naval forces both because they might actually be Air Force assets, and because except for platforms operating in "High Guard", most orbital assets are short lifetime vehicles which are more like aircraft rather than self sufficient like ships. Low orbit "fast movers" will have limited lifetimes due to residual drag, if nothing else. Small spacecraft will be preferred in LEO as they are easier to boost to orbit, easier to shift in orbit and somewhat harder to track, making them closer to aircraft as well. The most innovative depiction of combat operations in orbital space and across the atmospheric interface is "Manna" by Lee Corey. The "skalavan" space fighter of the book is an interesting concept, although a "real" one probably could not be a manned craft. In addition to the differences between orbital and deep-space craft mentioned by Thucydides, there is also the issue of drive systems. If torch drives exist, they may be limited to deep-space craft, since in orbit, especially LEO, a mis-timed or mis-aimed burn could result in civilian infrastructure (perhaps including manned stations or habitats) being damaged or destroyed through collisions or contact with a hot, possibly radioactive drive plume. On the other hand, though, it just now occurs to me that there is a naval model involving relatively short-ranged craft versus long-ranged, self-sufficient ones: The British Royal Navy's Grand Fleet and the German Kaiserliche Marine's High Seas Fleet. As Nyrath has mentioned on Atomic Rockets, the Grand Fleet's ships, designed to travel long distances between the ports of the British Empire, were relatively habitable and could do some repairs at sea, at the price of thinner armour and weaker bulkheads, while the High Seas Fleet's ships, designed to fight in the North Sea, had better armour and bulkheads, but were less habitable and would have to head home to conduct repairs. There might be similar design philosophies involved with deep-space and orbital craft respectively. "Zachary, the link you supplied is to the reprint. The original article and comments are here. The scientific experts who supply me with the technical details for my Atomic Rocket website are of the opinion that Mr. Shoer has fallen for a couple of common fallacies in space combat. They would love to be on Mr. Shoer's Ph.D dissertation committee." Nice, much better discussion on the original. I did notice that there were some serious holes in his discussion, holes that I would not have noticed before the fateful day I first ran across your site, and stayed for hours. And hours. :( But I thought it was a fascinating post on the whole. And I thought he made some interesting points about the IR question in the comments. "Welcome to another new commenter! Marginal Revolution! My political web surfing takes me there from time to time, but not a place I'd have expected to see this subject discussed." Thanks. Not completely new, but I don't know enough to comment much, apart from questions of biology. Just thought I'd throw that essay into the discussion. The one major exception I'd make to the generally short duration (more air force than navy) of orbital space missions is any station. On the other hand, a station may be more like a base than an aircraft carrier in terms of how the force perceives it. A 'fixed' orbital asset. The German/British analogy in WW I does indeed point out implications of long strategic range, a la deep space. I also see orbital space, in SF settings, as potentially a politically complex setting. In this environment, per discussions on the space piracy posts last spring, space fighting could look VERY different from the conventional flat space image of ships fighting at Stupendous Range in the middle of nowhere. This whole discussion leaves me wondering what the ratio would be between ground and orbital defense might be. If it is cheaper to simply dig in and wait for the enemy ground forces to amass won't most commanders ultimately choose to do so? Unless you have significant infrastructure, focusing your defenses there would be inviting your enemy to a fight favoring the attacker. This is so because they can move beyond your range and recuperate. However if you fortified your position until it became impractical to dislodge you, you could easily deny them the use of orbit. So in the end a civilization might have enough orbital defenses to secure the peace but extend the rest of their funds towards bunkers and missile silos. On the balance of orbital v surface defense, it probably depends on the scale of your space infrastructure. If it is extensive you want to protect it, and you have more space resources to do so. But it isn't worth much effort to defend a bunch of empty space. Yes but wouldn't it be more valuable economically to control the orbital space rather than exploit it. If you own say the space around Mars, by fortifying your presence on the surface, you could deny outside forces use of it's orbit. From there on out you may tithe them and develop your space, but the control of it will always be central to your welfare. The added bonus of fortifying the ground is that it will be generally cheaper than build orbital fortresses insuring that it is always be costly to conquer across planetary distances. Sure you could put a great deal of mines and other things up there, but it will never be invisible. If any conquering force plans on building up an industry, the first thing they will focus on is cleaning up the sky. Most likely from a distance knowing the possibility of hidden weapons. Of course how fortified your forces have to be to threaten orbital space is quite a question. How deep do you have to go to be impervious to kinetic bombardment? How much does the attacking force have to chuck before it becomes to much? Dropping a massive meteor on the planet won't look good in the papers, your checking account, or your orbital clean up. That's a lot debris. In the short to medium term, setting up orbital infrastructure and defending it will take a combination of ground based assets (ASATS, laser brooms) and orbital or at least space going assets (recon sats, sensor platforms, weapons delivery systems like the Common Aero Vehicle [CAV]) etc. Most real world analysis seems to favour keeping assets on the ground and launching them at need, on the basis that the assets can be protected and serviced without trouble at the home base. Small "micro satellites" and CAV's launched from old ICBM boosters fit this model. Orbital bases or "space stations" for military purposes would have very limited utility, given that they will be prime targets; even generation 1 space garages or support bases would have to be fairly capable spacecraft to avoid enemy action, give the commander a wide range of options and avoid civilian space objects and space junk. High Guard systems would also be capable deep space craft, possibly with VASMIR or other forms of high ISP drive. Until there is a capability of either lifting large amounts of mass or gathering it from NEO's or the moon, manned space warships will probably be limited duration vehicles for high priority jobs, simply because there will be no reasonable chance of protecting them. An Air Force type space force might have unmanned "garages" which can be shifted to gather up a malfunctioning spacecraft, and then a one or two man CAV carrying a repair crew dispatched to make adjustments; the system becomes a space station for a few hours to a day or so, then the systems detach and move into their separate orbits. Once high energy lasers become common, most of this will become moot; even fast movers in low orbit can be tracked and burned out of the sky by a ground based weapon, and ravening beams of death in Cis Lunar space can track and burn targets on any side of the visible hemisphere. At that point the military question will probably be how to control a vast flock of relay mirrors to protect your own optics (which one can the enemy target to do an "eyeball frying" attack?) and provide global coverage with the fewest number of lasers? You can protect/control low orbit pretty well from the ground, but surface defenses are more problematic for defending high orbits out to cislunar space (for Earth) or the equivalent zone elsewhere. Unless you have uber long range lasers, in which case much of this discussion is moot. So a lot depends on both how extensive your economic space assets are, and where they are. And what you are protecting against. Surface defense is pretty ineffective against blockade. And there is a whole different picture if a planet and its orbital space are not politically unified. The possibility of conflict within a planet's orbital space opens a whole 'nother can of worms. Glad this has been helpful! xkcd is an addictive link! Nothing picking up but I'll bookmark anyway. I am so glad Cherryh finally came up in your comments. Her "Chanur" series (yes, the one with the lions, rats, and apes in space) is one of the few books I've read that tries to worry about kinetic attacks. The characters are often worried about things like inbound FTL ships that have boosted a rock along with them and "release" it to travel into a system at a fraction of c.
She even plays with the issue of FTL ships which have incomplete or outdated information as they enter a system, because they are out pacing traffic data transmitted to them.